With the beautiful summer season’s arrival, many homeowners opt to spend their evenings and weekends enjoying their outdoor living spaces. 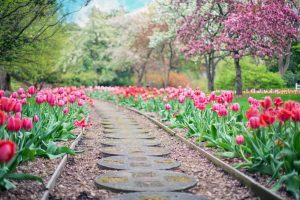 If you have a backyard that you want to utilize for relaxation, entertainment, and general enjoyment, it might be time to upgrade the design of the yard. 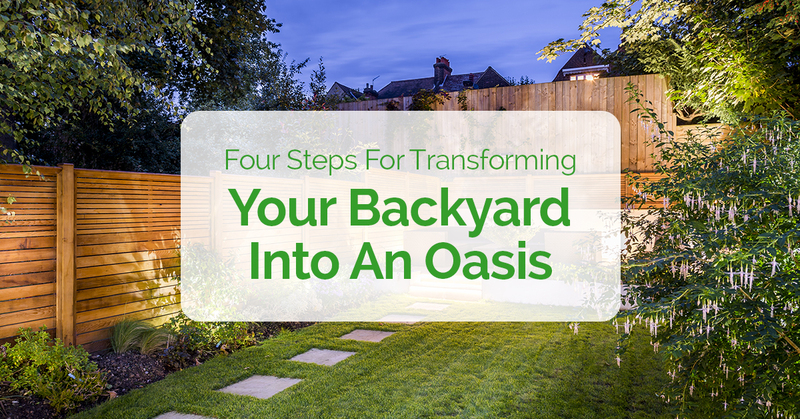 If unsightly weeds and a lack of landscaping have left your backyard less than inviting, check out these four steps for transforming your backyard into an oasis. Remember, when you need help with landscape design in Falmouth, our team is here to help. We can work with you to create a space you will love. 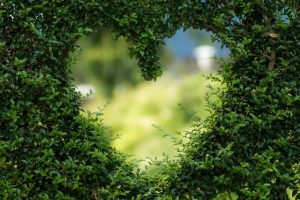 The first step you will want to take when transforming your backyard is to spend some time dreaming about what your ideal end result would be. Sit down outside with a pen and paper and start making a list of everything you’d like to see incorporated. Would you like space to grow a vegetable garden? Do you want to showcase regional flowers along the back fence line? Are you dreaming of a lush green lawn for the kids to play on? During the dreaming stage, don’t hold back on thinking big. Write down any design component you want, even if it seems impractical. Once you have your dream backyard sketched out on paper, it is time to start thinking about the practicality of your wishes. Start by creating a budget for the project. Understanding how much you can spend will be extremely helpful when you sit down with a landscape designer to talk logistics. Next, go through all the items on your list and rank them from must-haves to items you could do without. By prioritizing your list, you will be better equipped to cut items from the list if they don’t all fit within your budget. Once you have your dream backyard mapped out with a practical budget and priority list in hand, it is time to talk to a landscaping company about making your dream a reality. Make sure you choose a landscaping company with a quality reputation and the experience needed to design a backyard. Ideally, you will want to opt for a landscaper who also provides design services. When you find a landscaping company to work with, sit down and talk to them about what you want your backyard to become. During this stage, they may help you hash out what is actually practical for your space and what might not be a good fit. Once your landscaping team has built your dream backyard, make sure you don’t neglect it. If you do not care for your new landscaping design, it will quickly deteriorate and lose its aesthetic appeal. For example, if you do not keep up with mowing your lawn, you will not only have an overgrown yard, you will also cause damage to your grass. Or, if you let weeds take over your new flower beds, all the money you invested will be wasted. Ideally, it is best to hire the landscaping company that installed your new backyard to help with upkeep. Having a professional tend to your new backyard will help keep it in tip-top shape and will ensure you are able to enjoy it all summer long. If you are considering a new landscape design, we hope you will consider our team at Cape Cod Lawn Care. We provide high-quality landscaping in Falmouth and we will work with you to design the backyard of your dreams. Enjoy more time outdoors when you opt for quality landscaping services from our talented team. Contact us today for a free estimate.